In our quest to perfect our offerings, our loyal customers have been invaluable. Your input and comments are what lead us to improve in all areas. We love to hear what you have to say. Whether it is how much you love a product or an observation about an area we can improve on, everything you have to say is valuable to us. For this reason we have created this review page. Please leave your opinions about anything related to OROGOLD in the comment section below. If you have a question or would like some information feel free to post that below. We monitor all incoming comments and respond as quickly as we can. If your question is urgent or you would like to speak to someone directly you may do that as well. Click here to go to our contact page with more information. Thank you for visiting Orogold.com and for leaving your comments. My aunt and mother swear Orogold is THE best for their skin and only use it. They both look under 40, wont tell their exact age but nowhere near is very fitting. I have tried some samples. So far so good. Hoping to get the full sizes to fully experience the effectiveness of the products. Hub has their skincare line and I love the smell. I love this stuff, absolutely love the eye serum…works wonders!!! This website is really pretty, and the products look amazing! I heard a lot about it. I am yet to use it……..as i move on to the next decade of my life…. Daughter -in-law swears by it,hope to try it for myself!! I think it’s a great product!! Unfortunately there aren’t any OroGold stores anywhere around me at all. I’ve heard so many wonderful thing about OroGold and would really love to try some things. So, I’m keeping my fingers crossed that I’ll win something in your giveaway so I can try it. Thanks! I just started using the energizing mask and will know more after a few weeks but can see a difference after one use. I swear by the Orogold product line i was given several of the products as a gift my skin is so soft and beautiful you must try these products as they are wonderful. I always purchase Orogold . It’s amazing! It makes my skin healthier, flawless, smooth, and younger. I definitely recommend to others . Thank you Orogold! very good product! could see a difference in a week! I am enjoying the results of using the Deep Peel, it ia a wonderful product that I will continue to use for years to come. I have tried the Brightening Skin Serum and it feels glorious.My skin feels like it’s glowing and radiant after using it for only a few weeks.I feel like it has reversed some of my aging signs.It would be awesome to try some more of these excellent high quality products.Love them!!!!!! Love the serum so much! It has worked wonders for me and my skin drinks it right up. It really works for me… The Best product in the market today. Very interesting blog and I would like to try that on my skin. Best product on the market! Love it! I have never tried your product but it sounds great. Not only by what you say about your product but also by the reviews from your clients. Would love to see how it would work on my skin after Breast cancer treatments. All of your reviews are amazing! 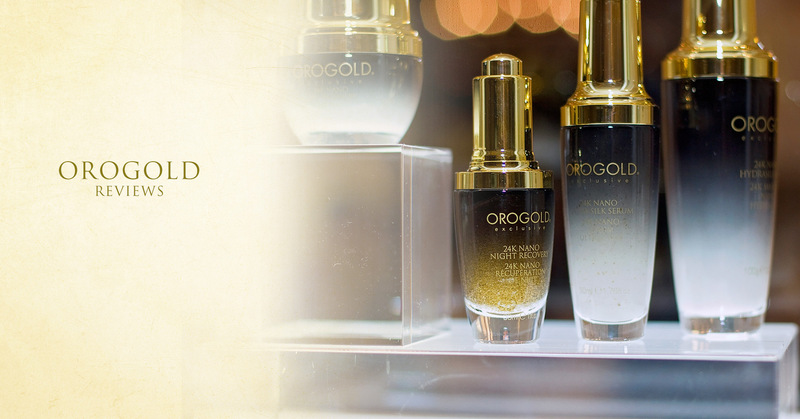 Can’t wait to buy Orogold products and try them! Sounds Great. Waiting to try. I would love to try the 24k Vitamin C collection next, I have heard rave reviews about them. I would Love to try the Collagen Mask & Serum! My favorit product: 24K Collagen Renewal Serum. Amazing. I would love to try the 24K Vitamin C Facial Cleanser next. I’m very interested in the deep peel after reading such enthusiastic reviews. No much to say….it’s the best product of ever! I love Orogold products.My son bought me some collagen renewal cream when he was in the states. I would recommend it to anyone who wishes to feel like they just stepped into a new skin.I think I could feel instant results because it felt so good! These products are amazing. I love Orogold products. I am interest in trying out something from their nano product line. I have never tried your products, but the sound like they would be wonderful, and your packaging is gorgeous. One of the best products you can find for your face, love it! Wow just wow this stuff changed my skin dramatically, its seriously a miracle in a bottle! I am 37 years old and since using the Orogold line ive been told many times I look like im in my early 20s. I frequently leave the house without makeup now because my skin is completely flawless. I highly recommend the whole line its so worth the price! I have tried the 24K Orogold Deep Peel and I highly recommend it. It does exactly what they say it does. It exfoliates your skin and you can see it happening. Afterwards, your skin feels so soft. I have used some sampels of Orogold. Now I want the products soo much! Its an amazing product, so luxurious and gives you mind blowing results, once you try this you will never let go! Your Deep Exfoliation Products are wonderful, remove dead skin, roll dirt out of the pores, and leaves your skin feeling baby soft. Erika at the Brandon Mall in Brandon, Florida was such a sweetheart. She was very informative and a joy to work with. I purchased three products and my favorite one was the 24K Multi-Vitamin Deep Peeling. I already use another cleansing system and facial scrub; but when I used the Deep Peeling, I couldn’t believe the “garbage” that came out of my skin. My second favorite is the 24K DMAE Deep Wrinkle Tightening Solution that Erika used under my eyes to reduce the wrinkles. I really love what it did to my right eye, but for some reason it didn’t do as well on my left eye. I tried it a couple of more times but my left eye still doesn’t look as good as my right eye and I’m not sure why. So far, I really love the products but I would like to see them less expensive. Thanks Orogold! A friend of mine let me try her 24 Multi – Vitamin Day Moisturizer and I have to admit, it is the best moisturizer I have ever used! I’m definitely going to buy myself this and other Orogold products. I highly recommend their products to everyone. Because once you try it, you’ll never want to use another manufacturer’s product again! I just tried the Vitamin C peel. I had just cleansed my face and it “looked” clean. Then I used the Vitamin C peel and could not believe the junk that came off my face! Gross! The serum went on smoothly and was gentle but yet still produced many black balls of crud off my face. After using, my skin felt incredible and for days after my skin looked flawless even in the humidity. I am in love with this product and can’t wait to try some others in the line. It’s a facelift in a pump for me! Their facial moisturizers are the best! Love the scent too! I used different products before but did not see any improvements, but with OROGOLD I see and feel the AMAZING results….. Now all my family and friends are also using these products. It’s all worth it to have a nice young looking skin. I love all the AMAZING people who work at OROGOLD Cerritos Ca. especially TEYA so nice patient and kind. I was aproached by Stephan at the Ventura mall location and he sampled this product on me and I was in love!!! I haven’t ordered it yet but will today!!! I use the 24K multi vitamin day cream and I absolutely love it. my face seems to glow as soon as its on. I’ve now gotten to the point where I hardly ever wear foundation because my skin is smooth and even. I LOVE the smell and the texture as well! OROGOLD products helped transform my complexion and target repair where i need it ! These high quality products will help transform you complexion to a flawless luminosity. I love the moisturizer on my face. I also love the body scrub. I love the moisturizer and baby scrub. Amazing results!!!!!!!!! My dark spot and skin tags are getting smaller and smaller even my pores leaving my skin nice, smoothed and young looking. Thank you Teya!!! You’re the BEST…. Amazing results!!!!!!!!! My dark spot and skin tags are getting smaller and smaller even my pores leaving my skin nice, smoothed and young looking. Thank you Teya @ Cerritos Mall California !!! You’re the BEST…. A real delight for the skin! I love OROGOLD.WILL SURELY Recommend it to my Friends.in Kuwait i recently went shopping with a friend and we suddenly bumped into the Orogold store. I felt compelled to go into the store – the place was all gold and white. Yes, the staff did seem a bit aggressive at marketing the product, but I guess that’s what they’re paid to do. They gave me free products to try onto my skin, all of which I really enjoyed. great and honest customer service, can’t wait to try more products. My new addiction. My skin looks healthier and younger than it has in ages. I’m in my 30’s and look younger than a lot of my 20 something friends. ^-^ Thanks for such an amazing product. A men’s line?! Who would have though, I’d be trying what is essentially make up?! But after a sample, my skin felt great! And if it evens out my skin with continued use, I’m in for the long haul. I went into the Sydney store and walked out amazed. The products are fantastic and the staff were so lovely. Not only was I shown how to use the products but I was also educated on what is in the product and the effect it has. Totally impressed!! Just using all the 24K Vit C product lines from cleanser, serum, moisturizer, etc and I can see the improvement on my skin. I’m excited to see the difference a month from now. My sister and I was about to give up trying to find anything that actually worked and continued to do so.then we found Orogold.no words can properly explain how wonderful you feel about yourself after.loving your body’s appearance will say everything. I absolutely love the 24k Deep Day moisturizer cream. I useit daily and my skin is radiant,I love thes smell and the texture. I love your 24K Vitamin C Booster. I am 61-years-old and have dry skin with lines and wrinkles. This product is magic. My skin is always hydrated now. My lines and wrinkles are disappearing. I use the 24k Vitamin C booster serum regularly which keeps my skin glowing and healthy looking. You can’t beat the 24 K Vitamin C Mask for that extra boost on a weekly basis. Just love how these products make my skin look and feel. I have never tried this product line, but hey I’m ready to turn my selfie around. I have been using Orogold 24K products almost 2 years I recently bought 3 products from the DMAE Line for tighting the skin and helping with lines I love the product I was introduced to it while vacationing in Lahaina, Maui by one of your representatives on Front St. I am a loyal customer of Orogold products and in the Reno area we need a store please!!!!!! There are a lot of customers that would benefit from your products. My skin tends to be very dry – especially in the winter. I use Orogold 24K Deep Day Moisturizer Cream and at night I use Orogold 24K Collagen Renewal Night Repair. Best. Moisturizer. Ever! I love the women who tended to us. She made my wife and i feel at home, we went in for samples and ended up leaving with the 24k kit, and mybwife loves it. Definitely coming back to our sales associate Joy. I went to your store to London and it was really amazing!!!!! would love to get to try this …i have very bad dry skin and this looks like it would work for me!!! I’m in love with Orogold 24k face cream. I received a couple samples in my beauty box subscriptions and unfortunately as much as I would love to buy the full size product along with a whole collection of skincare items, I just cannot afford it at the time. It would be so wonderful to win and experience another product form Orogold. The creams I have tried are so luxurious, and silky smoothing out every imperfection. Best product I’ve ever had the pleasure of using. I would love to try the collagen mask for a fresher youthful look. I was given a sample on a recent trip. I love how it feels on my skin. i was given by a friend enough of the 24k multi vitamin deep peeling i was so nervous i was affraid i was going to hurt myself i had never used anything like this all i could think of was those horrible pictures of women’s faces all red burned and they are in pain! oh NO!!!!!! i had o much fun using this! it took the dead skin off great left my skin feeling great and looking even better then i ever thought my skin could look or feel !! loved it !! Great Products I haven’t tried them yet but from what I read about them sounds like outstanding skincare products. would love to try these products.thank you to all. So I recently purchased a syringe of 24kDmae deep solution not understanding why it did not come in a sealed package..Even when purchasing a$2 dollar bar of soap it comes in a sealed package..The package came with no seal on the box, and the syringe came with no seal on the cap….I’m trying to find information as to why these products are not sealed or I was sold an unsealed box.Comments and concerns would be appreciated..Your fellow consumer..
Our boxes are not sealed because they are magnetic. The syringe comes locked at the bottom and you need to pump it a few times until the formula is released. If you’re still having problems with the product, please contact us here. I used this for the first time last night- the cleanser and the eye wrinkle tightening syringe. It was literally THEE best experience my face has ever had! I woke up with visible results – after the first time using it! unbelievable. I will recommend this to everyone I know and as far as I can afford it, will buy it in the future- it is heaven for my face! The collagen treatment makes a big difference to your skin. I am very thanksfull to Marina who was giving me as well a wonderfull face massage. You feel good by Orogold Amsterdam and your skin as well. I received a sample while passing by the kiosk in the mall, sample of 24 hr moisturizer, no irritation! I have sensitive skin and was pleasantly surprised to have no side effects like a pimple etc…I am considering purchasing the product…wonder if there will be any sales this time of year?! We have monthly giveaways here which you might be interested in. I see my comment was deleted your products maybe very good but I wouldn’t know that because the associate at one of your stores in Garden State Mall in Paramus NJ wouldn’t serve me because I was black but I seen him chase down 3 white women that wasn’t inter at all. We are very sorry that you felt this way and take these kinds of complaints very seriously. We will pass along your comment to the store manager and request customer service review. If you would like to speak to customer service department directly, please call (877) 554-1777.
this product worked wonders on my eyes. got rid of all the lines and swelling around my eyes, making me look years younger. I’m a 69 yo woman and i was at first very unsure if it would work. but it really does. the only problem is that i wish it was less expensive and i could get some free samples of it. also you have to be very careful when pushing the plunger as it can come out too fast and then it is wasted.